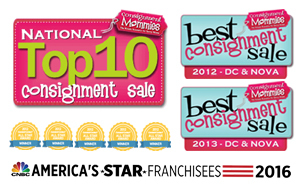 "You guys have the most amount of stuff than any other consignment sale that I attend. I also love the convenient location as sterling is close to me. And I lIke that the sale starts at 12 so when I show up it doesn't feel like everything good is gone. I am unable to do morning sales, so I especially like the start time."